Telly is professional HTML5 Resume and Portfolio template. It’s build with functionality in mind that means you will find all content blocks commonly used in CV and Resumes. This one-page template has brand new navigation and built with modern technologies like HTML5, CSS3, jQuery, Bootstrap 3. It is fully responsive with clean modern design. 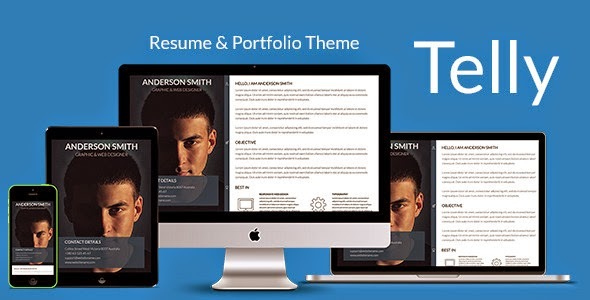 Item Reviewed: Telly - Responsive Resume and Portfolio Template 9 out of 10 based on 10 ratings. 9 user reviews.